Somewhere around 38.5 percent of men and women will be diagnosed with cancer at some point during their lifetime. This might seem like a high number and can definitely make some people nervous. Even with our advances in technology, there is still no set cure to get rid of cancer. There are things, however, that you can do now to help prevent and lower the chances of cancer being found in you. Today, we will be going over some of those preventative steps that can help reduce your risk of developing cancer. Cancer is a disease in which abnormal cells divide uncontrollably and destroy body tissue. Gene mutations that occur after birth caused by smoking, radiation, viruses, cancer-causing chemicals, etc is how many people develop the disease. There are five main categories of cancer – each involving a different part of the body. 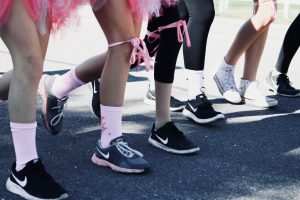 For instance, carcinomas begin in the skin or tissues that line the internal organs, whereas sarcomas develop in the bone, cartilage, fat, muscle or other connective tissues. Leukemia begins in the blood and bone marrow. Then, there is lymphomas, which start in the immune system. Lastly, central nervous system cancers develop in the brain and spinal cord. As for the most common places, cancer typically develops in the breast for women and the prostate for men. Although there is no one cure for cancer, we can combat it with surgery and types of chemotherapy. The therapy is to kill as many cancerous cells while avoiding damage to someone’s healthy cells. Chemo can make patients sick, but currently, it is one of the best treatments available to help cure cancer. So what can you do to help prevent cancer? Some of the most common tips revolve around maintaining a healthy lifestyle. This includes maintaining a healthy weight and working out. Cutting out smoking is a great way to avoid lung cancers, and a healthy diet can give your immune system a boost and provide needed vitamins. Skin cancers are common and protecting yourself from exposure from the sun for extended periods will help prevent damage. In other words, don’t forget the sunscreen! Cutting out soft drinks may lower the risk of endometrial cancer. There are many other tips to help prevent cancer available here. Your health is important and any preventative steps now can help prevent disease in the future. ← What Does It Take to Be a Successful Leader?